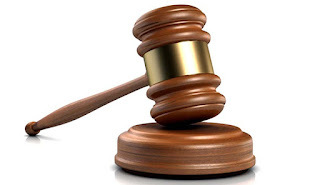 MASVINGO – A woman from Pangolin in Masvingo has been dragged to court after she allegedly destroyed her boyfriend’s car and other property on discovery that the latter was having a secret affair with her friend. Verona Charles (31) of Pangolin allegedly destroyed Duncan Andrew’s property. Andrew stays in Morningside, Masvingo. It is the state case that the two were in love and they stayed together at Andrew’s house. On November 29, 2018 at around 7pm at Andrew’s house, Charles became suspicious that her boyfriend was having a love affair with one of her friends. After the misunderstanding Charles broke six dinner plates and a display cabinet. On January 6, 2019 at around 2pm Charles and Andrew were seated in Andrew’s car at his place trying to resolve the misunderstandings. Charles became violent and smashed all windows except the front passenger window of the car. On January 24, 2019 at around 9pm at Andrew’s house Charles approached her boyfriend and informed him that she wanted to talk to him but he refused. Charles snatched Andrew’s spectacles and smashed them and also smashed the window of her boyfriend’s bedroom. The lady also broke her boyfriend’s National Identity card, drivers licence and she spread rotten eggs on Andrew’s bed.